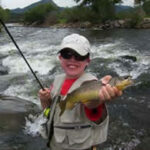 We offer guided fly fishing trips throughout scenic Rocky Mountain National Park and the surrounding area. Our guides are friendly and knowledgeable, and will ensure you have an exciting and memorable adventure. We can guide drive-to spots, hike to easily accessible locations, or backpack into high mountain lakes or streams. 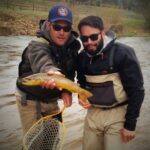 We also accommodate fly fishing on horseback trips, llama pack trips and overnight backcountry trips. We can tailor your trip to your preferences. All trips are guaranteed to catch fish! 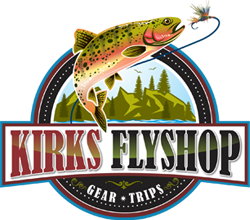 All necessary gear included in trip cost: Rod, reel, waders and flies! Plus transportation to and from the shop, a snack on the 4 hour, and lunch on the 6 and 8 hour! Book your trip by selecting one of the options below or give us a call at (970) 577-0790!